A few years back, all we heard about was the bedbug epidemic. Bedbugs were infesting, and infesting in record numbers… At least that’s what the media was reporting. This past year, it was a little quieter on the bedbug front. Does that mean that bedbugs were less of a problem in 2014? The truth is, bedbugs are just a prevalent as ever and they are being found in areas other than just your beds! It’s pretty obvious that hotels and motels are the most common place you’ll contract bedbugs. They are extremely vulnerable. When traveling, be on the lookout! Check hotel reviews, and always check the corners of your mattress before crawling into a hotel bed. Threat level is extremely high here! Almost 6 Million people ride the subways everyday. That’s a lot of potential hosts! It’s inevitable that a few of these million passengers is going to bring a bedbug on a train. Just on bedbug can have about 200 offspring. It only takes a few to have an infestation. 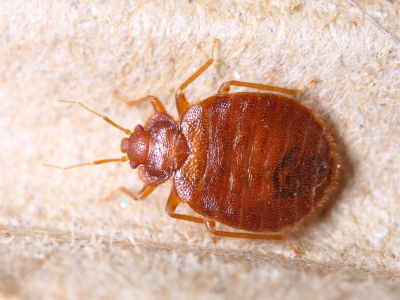 With passengers continually coming and going from subway, to home, it can create a vicious bedbug cycle. The threat level is very high! Imagine going to the theater to catch the last installment of The Hobbit movies, only to come home with welts on the back of your arms. You get so wrapped up in the 2 ½ hour movie; you don’t even notice you’ve become a meal for a bloodsucking bedbug. With the theater being dark, the bedbugs will feed both day and night! Threat level is relatively low. Bedbugs hide in the binding of books brought back from infested homes, and are found in computer chairs where they had easy feeding access. Checking out books from the library, and bringing them home can be a moderate threat. Passengers from all over the world are sitting for hours giving bedbugs time to move from carry-on luggage to seat cushions. It only takes a single female hitchhiker to star in your own horror story; Bed Bugs on a Plane. Threat level is relatively low. Isolated bedbug sighting in school are becoming more and more common, although the threat level is still very low. Remember, all it takes is one student to bring them in the school, and you could have a big problem! Though rare, bedbugs have been known to take up residence in office buildings. I wonder if workman’s comp would pay for a vicious bedbug attack? Next time you leave the house, remember to be on the lookout for bedbugs! They just may be closer than you think!